Did MTN buy Visafone with spectrum or only brand infrastructure? When Visafone saw the handwriting on the wall that validity of CDMA in Nigeria is expiring, the core investor and chairman of Zenith Bank, Mr. Jim Ovia sold the company on 100 per cent equity to MTN in 2015. 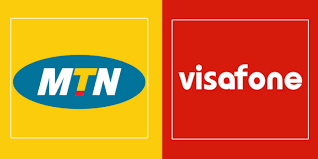 Whereas the sale never posed any threat to MTN competitors, trouble started when Visafone applied to the regulatory agency for the transfer of its frequency and licence to MTN. Even though the regulator, the Nigerian Communications Commission (NCC) had approved the acquisition deal, it was economical and careful on issues of approving the transfer of the frequency and licence to MTN till date. But fresh confusion came calling on Monday when other competitors in the industry, during a forum on the matter, voiced out their opposition to the transfer of the 800 Mhz spectrum owned by Visafone. First leg to the opposition stemmed earlier from the response of 9mobile in going to court to challenge the transfer of the frequency to MTN. However, during the public hearing in Abuja on Monday, Airtel and 9mobile argued that transferring Visafone’s 800 Megahertz spectrum would concentrate 38 per cent spectrum available in the country on MTN and thereby give the company undue advantage to further dominate the Nigerian telecommunications market. Just as the spokespersons for 9mobile, Oluseyi Osunsedo and Chigozie Arinze, said spectrum was a scarce national resource that should not be concentrated on one operator because it had the money to buy up whatever was available, industry analysts are raising questions. Some of the questions include; 1, Before NCC approved the Visafone purchase agreement, was it specifically made clear that the 800Mhz spectrum was part or not part of the purchase? 2, Do regulatory provisions on sale of spectrum forbid sale or transfer of spectrum from a player to another? 3, Does transfer of the spectrum to MTN really mean undue advantage to MTN Nigeria? 4, During the bargaining for purchase, were Visafone and MTN made to understand by the approving NCC that the Visafone spectrum was not part of the sale in line with any relevant regulation? 5, Did MTN buy Visafone’s licence with spectrum or only the brand and physical infrastructures’? Whereas industry watchers keep vigil on how NCC will resolve the crisis, the major argument of opposition to the spectrum transfer is powered by the fact that allowing MTN to get the spectrum in question will impede competition in the telecommunications market. Industry operators also argued that MTN had opposed a similar move by a dominant operator in South Africa and wondered why it should go ahead to practise what it felt was not good for the South African market. However, in a counter response, the Senior Manager, Regulatory Affairs, MTN, Johnson Oyewo, said it was wrong to punish the firm for believing in the Nigerian market enough to invest heavily in spectrum acquisition. He was quick to recall that the recently released spectrum trading guidelines offer operators alternative routes to the acquisition of spectrum as MTN’s acquisition of Visafone should not provoke jealousy in the industry. According to him, “The mobile data market, which is the relevant market segment for 800MHz, was found to be effectively competitive by the NCC in its ‘2013 Determination of Dominance in Selected Markets’ with no operator found to be dominant in this market. “Given that the market is effectively competitive, the utilisation of spectrum resources in order to provide the Nigerian telecommunications consumer a better data experience and ensure that the country meets its national broadband targets should be encouraged. Continuing, he stressed that “Other operators had the opportunity to acquire the 2.6GHz spectrum when it was auctioned by the NCC in 2016. Considering the fact that 2x40MHz in the 2.6GHz band is still available for sale, it will be improper for any operator to complain about spectrum consideration in one operator if they refuse to invest. Besides, Oyewo noted that “In addition, concentration alone is not a sufficient reason to block a spectrum transfer provided the transaction does not result in consumer harm. Business Hilights gathered that the regulator is yet to take a decision even as the matter is still in court over a suit filed by 9moible.